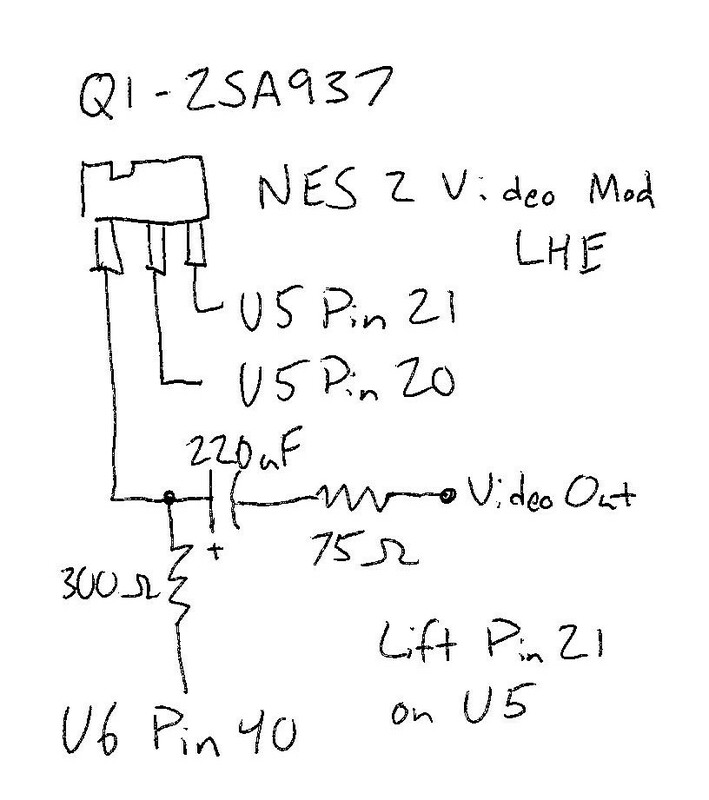 So the NES 2 only outputs RF which isn’t good when you want to portabilize it or use it with modern Tvs. Most composite mods out there don’t really do a good job at fixing the issue as there is some vertical lines that show up. This mod does not have any vertical lines. works wonderfully! had to substitute a 330 ohm for the 300 ohm and a 68 ohm for the 75 ohm… but it looks amazing! I must say I really don’t understand your hand-drawn schematics.. Is there any way you could explain the different parts more clearly, what to connect where etc? I would greatly appreciate a response by e-mail :) What’s most confusing is the thing to the top left, the square thing with three legs (? ), with the U5 pins 21 and 20. Never mind, I see now that it’s a transistor.. Since the RF box isn’t needed, is there any harm in removing it – anything to watch out for? I’d like to use that hole for composite video out and make a hole in place of the channel selector for the mono audio. 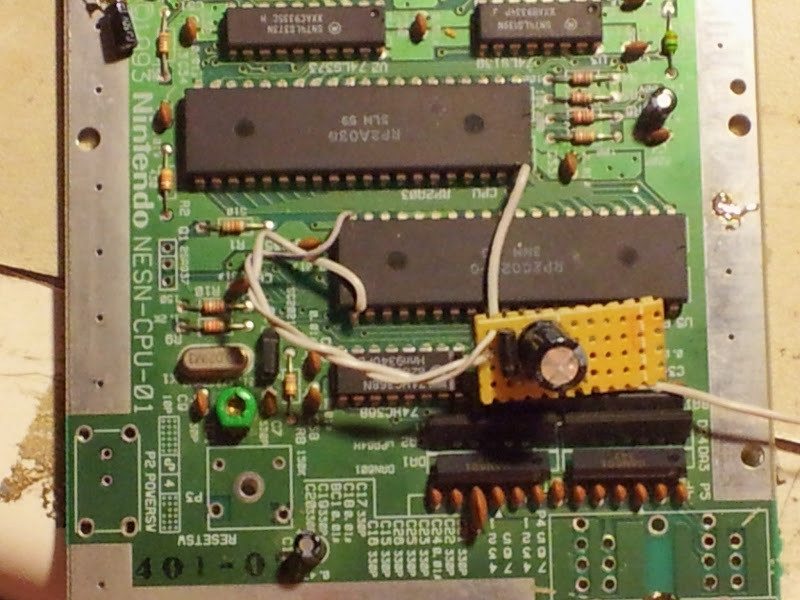 You really need to remove or change the pic showing how to make the top loader board smaller, I assume this was to portable-ize it, but some ppl think it’s part of the av mod. I have a guy sending me one now that he assumed it was required to remove all the items the pic shows to remove and messed up a bunch of traces and now it doesn’t work and that pic and lack of instructions is to blame. It is not my fault some people can’t use critical thinking. Also there is a disclaimer link at the bottom of each page on this site which links here. And yes the second picture is in regards to portabilizing a NES2.